Only one series stands between EG and the lower bracket crown. Evil Geniuses have been on a tear since getting dropped into the lower bracket at The Chongqing Major—and the one constant has been their aggressive play. This was epitomized in their final game against LGD Gaming when they outdueled the Chinese team on their home turf. EG had already bested The Kuala Lumpur Minor champions, EHOME, 2-0 and took the first game in their series against LGD. 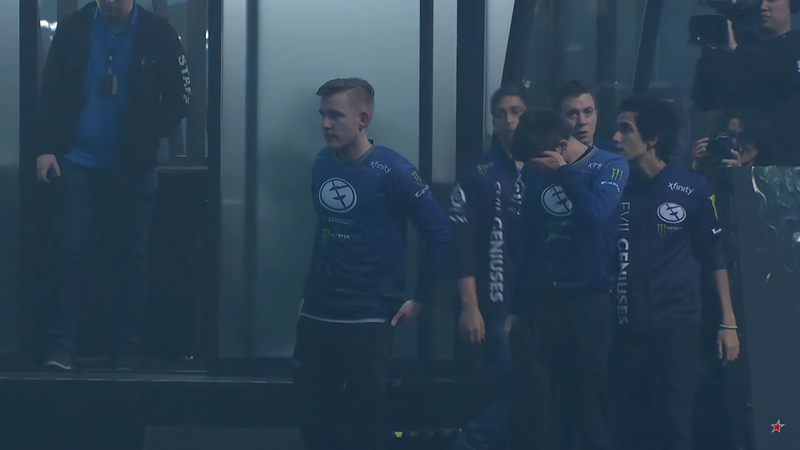 Game one was close, but EG came out on top behind a stellar 12-3 game from Artour “Arteezy” Babaev. In game two, EG had every reason to play with a more subdued gameplan in mind and only take risks when absolutely necessary. Instead, they went full force at LGD, trying to end it all early. That’s where SumaiL Hassan took over. Within the first 10 minutes of the game, SumaiL racked up 8,373 damage on the other team’s heroes—the most in that amount of time throughout the entire event thus far. His outstanding performance only continued from there as his rarely-seen Timbersaw helped his team survive an absolute bloodbath against one of the pillars of Chinese Dota 2. His final statline ended at 13 kills, four deaths, and over 45,000 hero damage in total. With this win, EG not only move on to face Team Secret in the lower bracket finals along with securing a top three finish in the Major, but they also once again asserted their dominance over the Chinese teams competing in their own backyard. Throughout the event, EG have bested Vici Gaming, Team Aster, EHOME, and now LGD Gaming as they only dropped a single game to Vici, culminating in an 8-1 record against the field. EG and Secret will face off at 10pm CT on Jan. 26 to see who will battle Virtus Pro in the grand finals of The Chongqing Major.